Since canines are highly social creatures, being alone can be quite stressful for them. 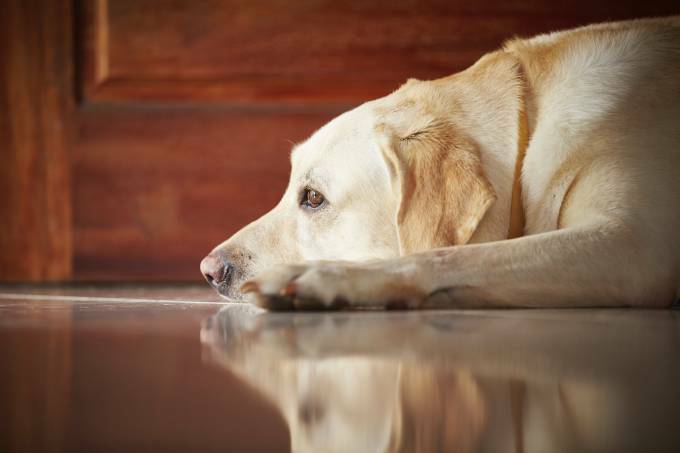 Fortunately, you can teach your pup to enjoy his alone time, or at least tolerate it. If he never grasps how to do this, you may wind up with a dog who acts out through excessive barking, digging, and chewing – or develops a very serious case of separation anxiety. 1. Leave your puppy alone in his crate or puppy playroom for at least 30 minutes to an hour each day at first. Gradually increase that length of time to up to two hours for a pup three months and younger, or up to four hours for a pup from three to six months old. Your pup will begin to adjust to being alone, as well as learn a valuable lesson: you always come back. We recommend you leave your dog in a safe place, either a roomy crate or puppy playroom, whenever you leave the house until they’re about a year old, though some dogs may need a few extra months of training. 2. Make your pup’s alone time the main time he eats, and he’ll learn to enjoy these stretches more. Using kibble he’d normally get at meals, stuff a couple of Kongs, and give them to your pup whenever you leave him alone. 3. Teach your dog that “quiet time” is a good thing by showing him how to settle down. Every so often, interrupt his playtime with short, quiet breaks. Tell your dog, “settle down,” and ask him to lie still for a second or two. Then reward him and resume playing. At first, these intervals should be very short – just a few seconds in length. When he’s able to settle successfully for these brief periods, slowly build up to longer segments – 10 to 20 seconds of settling. Your dog soon learns that quiet time is followed by playtime, and the wait is never more than he can handle.